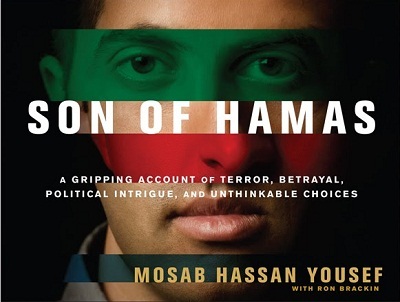 It is undeniably riveting to hear Mosab Hassan, son of a founder of the Hamas movement, proclaim that he loves Israel. Eight minutes into the video we’re on the edge of our seat as he starts to explain that his most important motivation for working for the state of Israel was “the deep understanding of God’s love for all his children…” Suddenly an abrupt edit removes the next words: “through the person of Jesus Christ.” (Click here if you’d like to see the unedited version). Well, the heavy-handed editing can only stir up curiosity among web surfers about what had to be censored. One can no more successfully delete Jesus from Mosab Hassan’s testimony than one can delete him from the history of the Jewish people. This episode only highlights that it is the unique power of the Messiah to break down walls between people. I have to admit that I know exactly what he’s talking about. We believe the worst of our Muslim neighbors. We are afraid and we are unkind. We have no hope for them. We see them as the enemy. It is 1 Corinthians 13 writ backwards. Friends, if an encounter with the Messiah can bring the Son of Hamas to love Israel, can He also bring us to love Muslims?